Certainly go see your doctor. But maybe your monitor is in the wrong place. Perhaps beside your chair. Put your book down and take the reading. Beside your bed, before you get really comfy. Put it where it's available when there is no stress. I am 85 and take a gazillion pills and supplements a day. It doesn't hurt and it keeps me going and keeps me here. What have you got against science? It really has progressed a bit since barbers cured (?) people of everything by opening their veins and bleeding them. Too much arrogance could kill you. By the way….meditate for a few minutes before taking your blood presure. It really helps. If it is still too high try meditating again and then retaking it. Works for me. Good luck, dear. I get my blood pressure read when I go to the doctor and it's always normal. Always. Even through my pregnancies. Just reading this post gives me what my Italian relatives call "agita." I do hope your blood pressure settles down to normal and you live to be 100, at least, pill-free! I, like your mother, take a lot of pills: blood pressure, depression, bph. My blood pressure varies in a limited range from great to marginally higher. 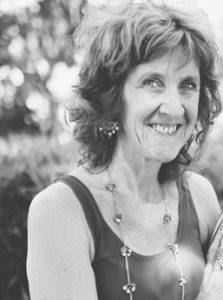 My wife, however has had a stroke, and survived very nicely. But it's not something either os us wants. Hope your life stabilizes happily. Oh dear Elizabeth – my immediate reaction is don't go down that road. I try to keep healthy as much as I can, in spite of various problems – my philosophy on the whole is that what will happen is probably what you least imagine – but I may well be wrong. As best I can remember—and we all know how crap my memory is—my mother only took two kinds of pills on a regular basis and I’m not even sure at the end of her life is she took these as she hated going to the doctors but certainly when I was a kid she took iron pills because she was anaemic and something for her high blood pressure; my sister inherited the anaemia and I got the high blood pressure. Since we moved here—which is coming up on ten years—I’ve taken a wee white pill every morning, the mildest prescription one can get, and every six months trot off and get my blood pressure checked by the practice nurse. Like you I used to suffer from ‘white coat hypertension’ but all that seems to have passed and the last few times I’ve been fine. Of course the wee white pill is not the only thing I take in the morning. I take an antihistamine too even in winter, a multivitamin, a capsule of fish oil, a garlic perle—my mother swore by garlic (she even gave it to her cats)—and some other wee tablet to try and keep me healthy; I forget what it is. How much good they do I’ve no idea but I don’t suppose they hurt. The only other prescription medicine I have are my inhalers and I rarely use them these days but that could change; it’s reassuring having them around and I never leave the house without one unless I’m just going to the corner shop although when I was really ill a few years back I couldn’t even make it that far without a couple of puffs down and a couple to get me back up the hill. Carrie gets a carrier bag full of pills and lotions when it comes and measures her life from one pill until the next. And in most cases she’s on high (although not the maximum) doses. The worst thing about her pain is that rubbing doesn’t help. I have a lot of aches and pains—barely a day goes by and I’ve not popped a couple of ibuprofen or paracetamol —but rubbing always provides an element of comfort and I struggle to imagine any kind of pain that rubbing wouldn’t alleviate; headaches respond to rubbing; even heartaches respond to rubbing. I don’t think there’s anything more terrifying through than locked-in syndrome. Have you seen The Diving Bell and the Butterfly? Scary, scary prospect. You are not a doctor and there is no need for you to take your own blood pressure, as interesting as the stats might be. Blood pressure issues are up to your doctor. Pressure varies, and medications take time to work. I have taken blood pressure medication for some years now and it is quite harmless. The best thing is when you hear your doctor say, seems normal. Occasional high reading is not an issue. A relaxed high reading in a doctor's surgery could be, but let the doctor decide, unless you know better than your doctor. Much to people's surprise, doctors do know about white coat syndrome and make the appropriate allowances, as they do when they ask how much you drink and you reply, just one glass of wine before dinner. I can understand your fear and, after a recent bout of emergency surgery where my blood pressure dropped in hospital and then sky rocketed upon my return home, I have emerged acutely aware of the fragility of life and that age has to be factored into one's daily thinking in ways that one never bothered with before. Pills will help and so will diet, exercise and so on. You might consider throwing away the home machine.. My doctor's advice, upon encountering my panic about all this, was to not use it. I am still not 100 per cent but far better than I was, btw. Persistent self monitoring is driving my head in, Joanne. I went to the doctor today. She's not too alarmed. She reckons the diastolic is more of an indicator than the systolic. My systolic is the tricky one. Still she suggests one of those twenty-four-hours-on-your-arm-as-you-go-about-your-daily-life monitors to get a proper reading. I'll do this over the next few weeks. She reckons there's no great urgency but for peace of mind and some better level of certainty it's worth it. I suppose I'm wary of science only as an absolute, Lo, and I will certainly take the pills if the doctor deems them necessary. She's a sensible doctor, not easily spooked so I take her counsel seriously. As I told Joanne above, at the moment we are monitoring further but not in a way that I can interfere with the process. Hopefully I'll get a better idea of what might be necessary as we proceed. Perhaps some of my concern derives from my mother's attitude when we grew up that illness was a sign of weakness. I know it's not true and I don't blame her entirely for my foibles but these attitudes can hang around. Thanks for the good wishes, Lo. I'd love to have some of your stamina when I get to 85. You're lucky, River. No blood pressure – ever. That's one worry to leave out of the worry book. I wish I could say the same, but I can't, not entirely, though my blood pressure was usually okay during my pregnancies like yours. It's only a more recent worry. Thanks, River, and please stay healthy. Sorry about the 'agita', Elizabeth. I know the feeling. And I'm not sure I'd want to live to 100. Still I'm pretty sure however much I get past seventy or even eighty I doubt it will be pill free. And that's fine by me despite my carry on here in this post. I'll keep you posted, Birdie. As I said to Joanne above, the doctor reckons we need to do a 24 hour monitoring to get an accurate picture. She's not panicking and I'm panicking a little less. Thanks for your good wishes. These things happen from time to time. At least we can deal with them as needs be and not get overtaken in spite of the anxiety that gets mobilised. I'm glad to hear your wife is okay after her stroke, Rob-bear. That must have been tough. I suppose the truth is we learn to live with whatever assails us over time. I write about it here because it gets to me and then over time as I accommodate to whatever follows I can get used to whatever needs attention and then hopefully get on with it. It sounds like you and your wife do this well, even if with the aid of those blessed pills. And in the end who cares? As long as they keep us alive and improve our quality of lives. I agree, Pat. We'd like to think we can see what lies ahead, but most of the time we cannot. If by not going down that particular road you mean not getting all fussed about hypertension, or monitoring myself all the time, those are things I can't fully control, not entirely, despite my best wishes. But as I've tried to say to others above, I'll calm down now; see how the 24 hours monitoring goes, monitoring that's organized by someone else, to get a more accurate measure and get on with my life. Then when we get the results somewhere down the track I'll act as necessary on doctor's advice. Thanks for your concern, Pat. I've read The Diving Bell and the Butterfly, Jim, though not seen the film. And yes, it is a dreadful prospect the thought of being locked in. It sounds as though you do well enough n your efforts to stay alive, to keep as comfortable as possible in spite of all that pain. It sounds like it's harder for Carrie. i can;t say I envy here, all that need for medical intervention, but as I said to Rob-bear above at least they keep us alive and also hopefully improve the quality of our lives. think of our ancestors who would have been in the grave by now in all likelihood. modern medicine has made us a little precious perhaps about living on if not forever, at least to a so-called ripe old age. I'm working hard to get over myself now, Jim, having seen the doctor who reckons we need to look further for the sake of clarity. But she's not too fussed and that's reassuring. Though there is a story attached to this most wonderful of GPs. One day I might write it down in full. My husband whose blood pressure is always terrific, the blood pressure of a 21 year old, suffered a heart attack within days of visiting this GP, who had thought that what ailed him was a stomach bug, as did we all. His blood pressure was perfect. So you can't always tell. You're right of course, Andrew. It's a case of too little knowledge and a little panic that can lead to all sorts of unnecessary angst. As you predicted my doctor recognised the old white coat hypertension but still she recommended a twenty four hours monitoring, one with which I can't interfere, at least not in the way I can when I try to measure my own blood pressure. It's reassuring to hear that medication for hypertension is harmless. After all, these things are about life preservation and quality of life, not a competition as to who can do without pills the longest. Still I can get caught up in these things sometimes. Thanks for the sage advice, Andrew. I'm giving the machine to my sister, Christine. She wants to monitor her own blood pressure. I'll warn her of the dangers. It sounds as though you've had a tough time, too. You're right about the business of factoring in our age. It can come as quite a shock, when inside we might feel as young as we ever were but our bodies are not the same. My mother still talks about feeling like a teenager inside while her body refuses to let her behave like one. Ah me, but we struggle on. Thanks for your kind thoughts and commiserations, Christine. I think that having your own BP monitor at home would be like having some bathroom scales – too tempting to keep checking the numbers far too often. As for taking medication, if it works, then is it any worse than remembering to clean your teeth twice a day? we've been sold a "bill of goods" by the ESTABLISMENT-For_PROFT Pill=Pushers ! that Framingto/Boston study of many years ago that these numbers are now held up as "the norm" are for HEALTHY 20-something year old marathon runners. Dr. Piette and UCLA study debunked all of this..
the Meds do more harm than good ! a person's NORMA BO shld be (his/her age) + 100 ! Having had a stroke I can tell you it quite awful. 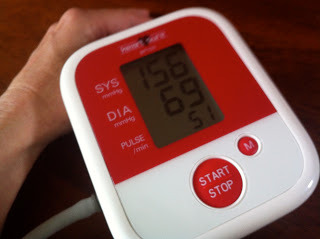 Monitoring your blood pressure is a very reasonable precaution. It only costs a bit of time. It is also reasonable to record the numbers to see how they change over time. High blood pressure damages your arteries over time, can lead to vision loss, harms your kidneys and other dreadful things. Your sister should ask her doctor if she should be taking a baby aspirin each day. I find the bath room scales far less of a temptation, Kath, than the heart monitor. Perhaps because over the years my weight is far more predictable. My blood pressure though is another thing, and far more subterranean. Even so I'm setting down. The GP reckons the diastolic, the middle reading is far more relevant than the systolic. The systolic tends to be a measure of immediate environmental pressures, like anxiety and pain. The diastolic on the other hand measures more significant strains. My diastolic has been pretty normal throughout and my pulse rate has been relatively low. That too is a good indicator, apparently. Still I intend to try the 24 hours monitoring as a precaution, and if in the end it turns out I need medication I'll try to take the view you espouse: taking pills need be no more onerous than regular tooth brushing. You're right, Ed, if living into your nineties like a zombie is the option built of medication, it's probably better to go sooner. This is a fascinating article and very reassuring. It fits what my husband says about the rule of thumb about blood pressure and age. Perhaps we have entered a phase when the promise of eternal life is so alluring, that we deny the price and don't want to think about the hidden and greed driven agendas of some pharmaceutical companies and their vested interests in scaring us into taking unnecessary medication. Now Laoch you present the other side. Having had a stroke. you know something of the experience and the real hazards. I think we cannot be too cavalier about these things and at the same time we need to keep some perspective, especially in terms of the relativities. everyone's different, though we all have hearts that can and will eventually go bung. As my husband jokes, eventually we all die 'from want of breath'. Thanks Erci. I enjoyed my visit to your blog. I have been tardy of late in visiting others but for a start might I recommend you visit Dave King's blog, Pics and Poems. Dave's another poet like yourself and Jim Murdoch's The Truth about Lies, another poet of sorts. You might find them good companions in this strange world called the blogosphere.